영 '이코노미스트', 김상조 위원장 개혁정책에 주목 - Newspro Inc.
영국의 시사경제주간지 <이코노미스트>가 문재인 정부가 임명한 김상조 공정거래위원회 위원장의 개혁 정책에 주목했다. “법을 어기지 마십시오.” 재벌 저격수라는 별명을 가진 김상조 공정거래위원장이 지난 해 취임하며 한 말이다. 이 한 문장으로 공정거래위원회 김 위원장의 확고한 정책방향의 기조와 의지를 알 수 있다. 김 위원장은 재벌개혁에 있어 원칙을 강조한 것이다. <이코노미스트>는 김 위원장이 준법을 강조했고, 한국의 재벌들이 김 위원장의 개혁요구에 아주 바뀐 것은 아니지만 차츰 응하고 있다고 보도했다. 이코노미스트는 한국 국민은 박근혜 전 대통령의 탄핵과 재판과정을 통해 정권과 가족 통제 경영 지배 구조인 대기업 재벌들의 유착관계를 여실히 목도했다. 지난 5월의 조기 대선에서 압도적으로 승리한 중도좌파 문재인 대통령은 정치적 동기의 사면을 하지 않겠다고 약속한 첫 번째 대통령이자, 또한 문 대통령은 한국의 “재벌 중심 성장 전략”을 버리겠다고 약속했다. 문 대통령의 이러한 확고한 의지는 김상조 공정거래위원장의 한국 경제의 재벌기업 지배구조 개혁에 대한 강력한 대중적-정치적 지지 배경이 되었다. <이코노미스트>는 기사에서 이런 배경 하에 변화의 기운은 완연하게 나타나고 있으며, 문 대통령과 김 위원장의 재벌개혁 의지는 한국 경제와 재벌 역사의 분수령이 될 것이라고 주목했다. 사실 재벌개혁 요구는 다른 데 있지 않다. 초법적 권력을 휘두르는 권력을 법의 지배하에 두는 것이고, 김 위원장은 이를 실천에 옮기고 있는 셈이다. 물론 재벌개혁이 쉽지 않다. 재벌은 돈의 힘으로 학계-언론계-사법부를 쥐락펴락했으며, 보수 야당들은 재벌개혁 정책에 제동을 걸 태세다. 이에 대해 <이코노미스트>는 김 위원장의 원칙을 강조한 행보가 재벌개혁을 이끌어 낼 수 있다고 낙관하고 있다. 다음은 뉴스프로가 번역한 <이코노미스트>의 기사 전문이다. 김상조 위원장은 대기업들이 중소기업 및 단기 변동 주주를 괴롭히는 것을 막을 수 있도록 보기 드문 정치적 지지를 받고 있다. AS KIM SANG-JO was preparing last May to make the switch from snappy shareholder activist to a regulatory role as South Korea’s fair-trade commissioner, he had a simple message for the country’s big conglomerates: “Please do not break the law.” Not one to make bosses quake in their brogues, exactly. And yet the chaebol, as the country’s family-controlled empires are known, are responding to his call for reform. Addressing complaints about governance, a few have brought far-flung businesses into a simpler holding-company structure. Others have set up funds to provide support to suppliers, which have long accused the giants of treating them badly. Another group is paying out record dividends to once-disregarded shareholders. 지난 해 5월 김상조 위원장은 열성적인 주주 활동가에서 한국공정거래위원장으로서의 단속자 역할로 변신을 준비하며 한국의 대기업에 “법을 어기지 마십시오”라는 간단한 메시지를 보냈다. 정확히 대기업 회장들을 벌벌 떨게 할 만한 메시지는 아니다. 그러나 가족 통제 제국으로 알려진 한국의 재벌들은 김 위원장의 개혁 요구에 응하고 있다. 지배에 대한 불만을 해결하기 위해 일부 기업은 방대한 기업체들을 단순한 지주회사 구조로 바꾸었다. 다른 기업들은 오랫동안 불공정한 대우를 받아왔다고 대기업들을 비난해 온 부품 제조업자들에게 지원을 제공하기 위한 기금을 마련했다. 또 다른 그룹은 한 때는 무시했던 주주들에게 기록적인 배당금을 지급하고 있다. Mr Kim was preaching, if not yet to the converted, then to the disconcerted. The chaebol have had a bruising couple of years. Nine of South Korea’s most powerful bosses, some rarely seen in public, were grilled on television by politicians in December 2016 as part of an investigation into collusion. 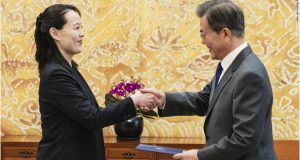 All denied that they had sought favours in return for the billions of won they paid into charitable foundations controlled by Choi Soon-sil, once a confidante of Park Geun-hye, a former president ousted in March. 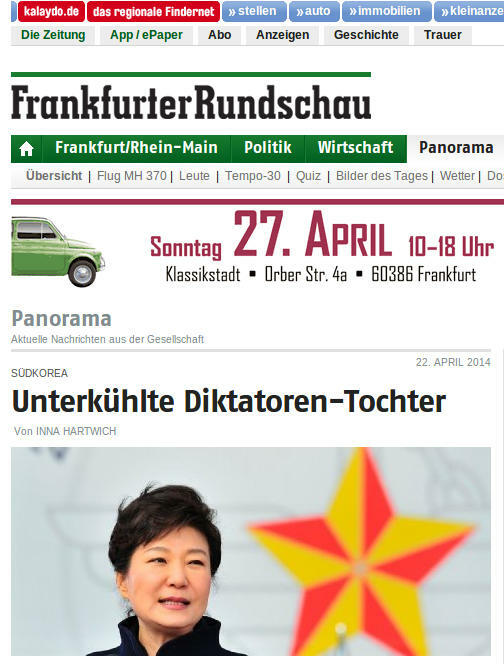 (Her father, Park Chung-hee, helped the chaebol flourish with state money when he ruled in the 1960s and 1970s.) Both women are now behind bars on charges of corruption, as is the country’s most prominent business scion, Lee Jae-yong of Samsung. 김 위원장은 아직 바뀐 것은 아니라 해도 당황해하는 자들을 설득하며 가르쳐왔다. 재벌은 힘든 2년을 보냈다. 한국의 가장 강력한 기업 총수들 중 9명(그중 일부는 대중 앞에 거의 모습을 드러내지 않았던)이 2016년 12월, 공모혐의 조사의 일환으로 정치인들로부터 호된 심문을 받는 모습이 TV로 방영됐다. 이들 모두는 3월 파면된 박근혜 전직 대통령의 과거 최측근인 최순실이 운영하던 자선 재단에 자신들이 지급한 수십 억 원에 대한 대가로 청탁을 요구했다는 사실을 부인했다. (박근혜의 아버지 박정희는 1960년대와 1970년대 자신의 재임 기간, 재벌이 국가의 돈으로 번창하도록 도왔다) 지금 두 여성 모두 부패 혐의로 구속된 상태이며 한국에서 가장 잘 알려진 기업 후계자인 이재용 역시 구속되어 있다. To many, all this marks a watershed in chaebol history; Mr Kim agrees. 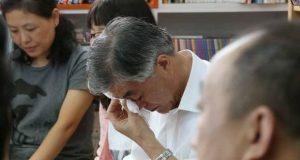 Mr Lee’s father, for instance, twice received presidential pardons, after convictions for bribery in 1996, and embezzlement and tax evasion in 2008. 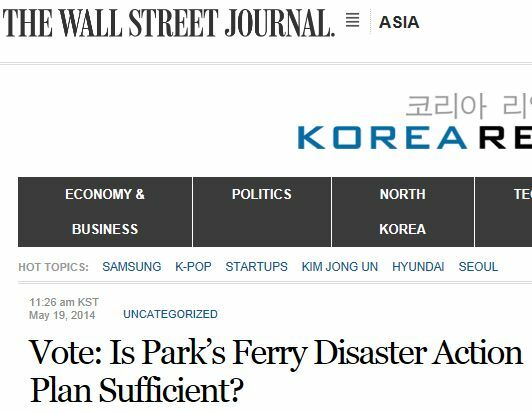 In 2015 and 2016 Ms Park released from prison early the bosses of SK Group, the third-biggest conglomerate, and CJ Group, another chaebol. Most have been let off because of their firms’ importance to the economy. The total asset value of the five biggest chaebol, measured in April 2016, reached over half of the country’s GDP for the year (see chart). 많은 사람들에게 이 모든 일은 재벌 역사에 있어 분수령이며, 김 위원장도 이에 동의한다. 예를 들어 이 씨의 아버지는 1996년 뇌물수수 혐의와 2008년 횡령과 탈세 혐의로 기소된 후 두 차례 대통령 사면을 받았다. 2015년과 2016년에 박근혜는 재계 3번째 대기업인 SK그룹과 또 다른 재벌인 CJ그룹의 사장들을 조기 석방했다. 대부분은 경제에 미치는 그 기업들의 중요성 때문에 사면되었다. 2016년 4월에 조사된 5대 재벌의 총자산 가치는 그 해 한국 GDP의 절반을 넘었다(표 참조). Moon Jae-in, the left-of-centre president who won by a landslide in a snap election in May, is the first to promise an end to politically-motivated amnesties. He has pledged, too, to abandon what he calls South Korea’s “chaebol-focused growth strategy”. Small and medium-sized enterprises (SMEs) feel squeezed by the national champions, to which many say they are beholden as suppliers or by which some are gobbled up, often for valuable machinery or technology. Innovation and entrepreneurship suffer as a result. 지난 5월의 조기 대선에서 압도적으로 승리한 중도좌파 문재인 대통령은 정치적 동기의 사면을 하지 않겠다고 약속한 첫 번째 대통령이다. 그는 또한 한국의 “재벌 중심 성장 전략”을 버리겠다고 약속했다. 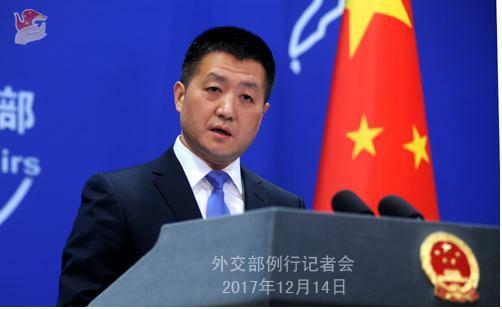 중소기업들은 전국 규모의 대기업에 의해 압박감을 느끼는데, 많은 중소기업들이 납품하는 대기업의 눈치를 봐야하며 대기업은 종종 가치있는 기계나 기술을 위해 중소기업을 집어 삼키기도 한다. 그 결과로 혁신과 기업정신은 설 곳이 없게 된다. Mr Moon’s resolve to help SMEs means that Mr Kim, whom he appointed, has stronger political backing than perhaps any previous fair-trade commissioner. As an activist, Mr Kim was once turfed out of a meeting of Samsung shareholders for haranguing executives about rumoured illegal political donations. 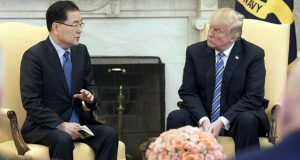 Now that Mr Kim is working in Mr Moon’s graft-busting government, the two men, says Mr Kim, are “totally in agreement”. 문 대통령이 중소기업을 돕겠다는 결심은 자신이 임명한 김 위원장이 이전의 어떤 공정거래 위원장들보다 강한 정치적인 지지를 받게 될 것임을 의미한다. 활동가로서 김 위원장은 삼성 주주총회에서 경영진이 불법적인 정치 기부를 했다는 소문에 대해 질타하다가 쫓겨난 적이 있다. 이제 김 위원장이 문 대통령의 부패척결 정부에서 일하면서, 그는 두 사람이 “전적으로 뜻을 같이 한다”고 말한다. His mandate is popular, too. Over four-fifths of adults work in often unproductive SMEs. An advocate for them says that Mr Kim has “a real understanding of the build-up of unfairness”. The Korea Fair Trade Commission regulates monopolies and upholds consumer rights. It found that Lotte, a shopping-and-cinema empire, broke national law on fair competition most frequently in the 18 months from April 2016, on no fewer than 33 counts. During that time Hyundai paid the highest total fines, of 85bn won ($74m). Close to two-thirds of cases handled by the commission involving the ten biggest chaebol were breaches of the fair-trade act’s provisions. 그의 임명은 또한 대중적 지지를 받는다. 성인 다섯 명 중 네 명 이상이 비생산적인 중소기업에서 일하고 있다. 그들의 지지자 한 사람은 김 위원장이 “불공정의 형성에 대해 진정으로 이해”하고 있다고 말한다. 공정거래위원회는 독점을 규제하고 소비자 권리를 옹호한다. 위원회는 쇼핑과 영화 제국인 롯데가 2016년 4월부터 18개월간 적어도 33건의 공정 경쟁에 관한 국내법을 어겼다는 사실을 밝혀냈다. 그 기간 동안 현대는 사상 최고액인 850억 원(7천4백만 달러)의 벌금을 물었다. 10대 재벌과 관련해 위원회가 처리한 사건의 3분의 2 정도가 공정거래법 조항을 위반했다. 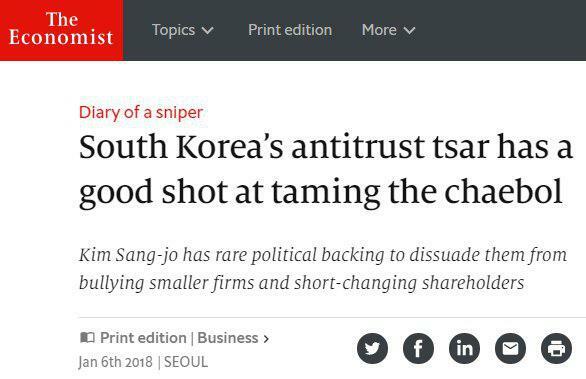 Under Mr Kim, who seems wholly unafraid to live up to his public sobriquet as the “chaebol sniper”, penalty fees are set to double for businesses who break fair-trade rules. A new fine can be meted out to firms that fail to hand over documents requested by the commission; non-compliance is now a criminal offence. “재벌 저격수”라는 별명대로 사는 것이 전혀 두렵지 않은 듯한 김 위원장 하에서 공정거래 규정을 위반한 기업에 대한 벌금이 두 배로 늘어났다. 위원회가 요청한 자료를 제출하지 못하는 회사에는 새로운 벌금이 부과될 수 있다: 불이행은 이제 형사 범죄이다. 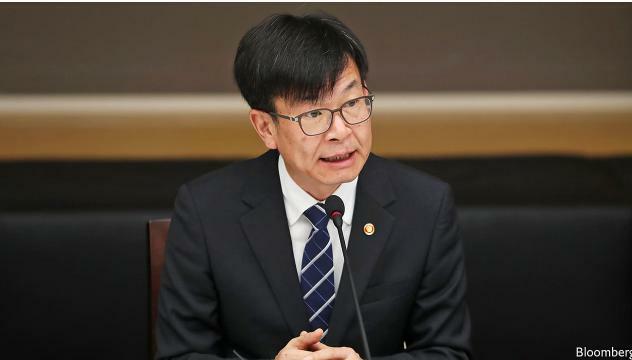 Lee Jae-hyung, an expert on corporate governance at the Korea Development Institute, a think-tank, says such measures matter greatly, because they raise public awareness. Past leniency towards badly-behaved bigwigs means South Koreans have often been oblivious to the seriousness of their infractions. Public pressure is needed to help pass proposed laws on chaebol reform, since Mr Moon’s party lacks an absolute majority. Mr Kim has also raised the possibility of stronger measures against cross-shareholdings. 싱크탱크인 한국개발연구원의 기업 감독 전문가인 이재형 씨는 그러한 조치가 대중의 인식을 높이기 때문에 매우 중요하다고 말한다. 나쁜 행동을 한 거물들에 대한 과거의 관용은 한국인들이 종종 자신들의 범법행위에 대한 심각성을 깨닫지 못했다는 것을 의미한다. 문 대통령의 여당이 절대 다수가 아니기 때문에, 제안된 재벌 개혁 법안이 통과되기 위해서는 대중의 압력이 필요하다. 김 위원장은 또한 순환출자에 대한 더 강력한 규제 가능성을 제시했다. The sniper would rather his targets surrender willingly and is encouraging “voluntary” reform. 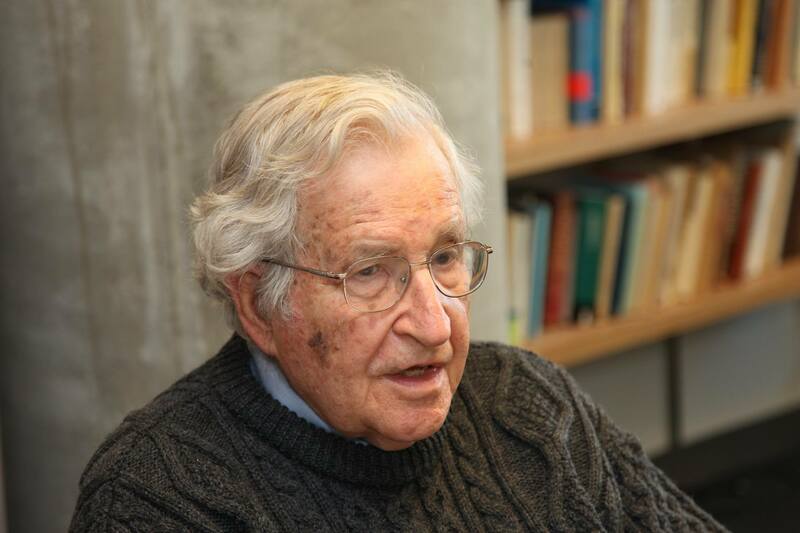 That approach might last longer than big, forced changes, observers reckon. Mr Kim is also counting on the fact that the younger, third generation of chaebol bosses “sees change as inevitable”, as Chinese competition gnaws at profits and as investors demand a bigger slice of what is left. Fatter shareholder returns should be the yardstick for progress, he says. Simplifying corporate structures, often more complex than a semiconductor circuit, would also help correct the “Korea discount”: the low valuation of firms relative to developed-country peers, thought to stem from investors’ perceptions that they have next to no say in decisions. This year’s shareholder-meeting season, in March, will be a key test of whether the chaebol are moving in the right direction. 저격수 김 위원장은 대기업들이 자진해서 항복하기를 바라며 “자발적인” 개혁을 장려하고 있다. 그러한 접근법은 크고 강제적인 변화보다 더 오래 지속될 수도 있다고 관측통들은 예상한다. 김 위원장은 또한 중국 경쟁 회사들이 수익을 잠식하고 투자자들이 남은 이윤의 더 큰 몫을 요구함에 따라 젊은 3세대 재벌 총수들이 “변화를 불가피한 것으로 본다”는 사실에 기대를 걸고 있기도 하다. 주주에게 돌아가는 배당금이 커지는 것이 발전의 척도가 될 것이라고 그는 말한다. 종종 반도체 회로보다 복잡한 기업 구조를 간소화하면 “코리아 디스카운트”(선진국 상대 기업에 비해 낮게 책정되는 기업 가치를 일컫는 표현으로서 자신들이 의사 결정에 거의 아무런 발언권이 없다는 투자가들의 인식에서 비롯된 것으로 생각된다)를 바로잡는 데에도 도움이 될 것이다. 올 3월에 있을 주주 총회 시즌은 재벌들이 올바른 방향으로 움직이고 있는지에 대한 주요 시험대가 될 것이다. Change is undoubtedly in the air. In 2016 Samsung promised to start returning half its free cashflow to investors. Not long ago this was an “unimaginable” step, says Mr Kim. In his first meeting with the “big four”—Samsung, Hyundai, LG and SK—n June, he asked their professional managers to reform supply-chain pyramids (to avoid any whiff of collusion, he does not meet the owner-families). That chain of relationships is widely thought of as an example of gapjil, a term for the bullying of firms lower in the hierarchy. SK Group has since announced a 160bn-won fund to pay second- and third-tier subcontractors directly if a first-tier supplier is temporarily cash-strapped. Mr Kim is confident he can convince the chaebol that the costs of engaging in unfair trade outweigh the benefits. 변화의 기운이 완연하다. 2016년에 삼성전자는 잉여 현금의 절반을 투자자들에게 돌려주기 시작하겠다고 약속했다. 이는 얼마 전까지만 해도 “상상할 수도 없었던” 변화라고 김 위원장은 말한다. 6월 삼성, 현대, LG, SK등 4대 대기업을 처음 만난 자리에서 그는 이들 회사의 전문 경영인들에게 공급망 피라미드를 개혁해달라고 요청했다(김 위원장은 어떠한 담합의 여지도 남기지 않도록 대기업 소유주 가족들과 직접 만나지 않았다). 그 관계의 사슬은 하위 기업들을 괴롭히는 용어인 “갑질”로 널리 여겨진다. SK그룹은 1차 협력 업체가 일시적으로 자금이 부족할 경우 2차 및 3차 하청 업체에 직접 지급할 수 있도록 1천6백억 원의 자금을 마련했다고 발표했다. 김 위원장은 재벌들에게 불공정한 거래에 관여하여 치러야 할 비용이 그들이 얻게 되는 이익보다 크다는 점을 설득시킬 수 있다고 확신한다. Some anti-chaebol types carp that Mr Kim now seems to be more chaebol sympathiser than sniper, and that a disarming approach will get firms to play nice only as long as it takes for the government’s reformist fervour to cool. That is unfair, but it is true that obstacles to change remain in a country where the chaebol’s glittering success has given them sway over politics, media, the judiciary and academia. The economy is strong, but future weakness would put pressure on Mr Moon to release chaebol bosses from prison. Dozens of reforming bills languish in parliament. They range from introducing electronic proxy voting rights for shareholders (because conglomerates often schedule simultaneous meetings) to putting limits on the use of treasury shares in mergers, which owner-families often sell to allies (as in the merger of Samsung affiliates). 일부 반재벌 인사들은 김 위원장이 저격수라기보다는 재벌 동조자처럼 보이며 상대방을 무장해제하도록 하는 김 위원장의 접근법은 정부의 개혁적인 열정이 식을 때까지만 기업들이 협조하는 척하도록 할 것이라고 트집을 잡는다. 공정하지 않은 비난이긴 하지만, 재벌이 눈부신 성공으로 정치, 언론, 사법부 및 학계를 장악해온 이 나라에서 변혁에 장애물들이 남아 있는 것은 사실이다. 경제가 현재는 강하지만, 미래에 경제가 약해지면 재벌 총수들을 감옥에서 석방하라는 압력이 문재인 대통령에게 가해질 수도 있다. 수십 개의 개혁안들이 의회에 계류 중이다. 이들 법안들은 주주 전자 대리 투표권 도입에서부터(대기업들이 종종 같은 시간에 회의를 열기 때문에) 대기업 오너 가족들이 종종 계열회사에 주식을 팔아버리는 합병(삼성 계열사의 합병과 같이)에 있어서 자사주의 사용에 제한을 가하는 것 등 다양하다. Mr Kim has no intention of giving the chaebol “a completely new face”, he says. That is “not only impossible” in his three-year term, but “not worthwhile” as the firms are a “precious resource” for South Korea. Samsung Electronics, that conglomerate’s darling, thrived in 2017, clocking up record profits, contributing to a surge in exports for the year, all while Mr Lee has been cooped up on criminal charges. Unharmed corporate performance has in the past been taken as a sign that misconduct is so commonplace in South Korean conglomerates that investors do not care. But with Mr Kim now minding the shop, it could just as well be taken as a sign of something better: that the chaebol are becoming more than just a family affair. 김상조 위원장은 재벌에게 “완전히 새로운 모습”을 제공할 의도는 없다고 말한다. 김 위원장은 그것은 3년 임기 동안 “불가능할 뿐만 아니라” 그 기업들은 한국의 “귀중한 자원”이기 때문에 “그렇게까지 할 가치는 없다”고 말한다. 삼성 그룹을 대표하는 삼성전자는 2017년 기록적인 수익을 내며 성장해 한국의 2017년 수출 급증에 기여했으며, 이 모든 일은 이재용 부회장이 범죄혐의로 감옥에 갇혀 있는 동안 이루어졌다. 처벌 받지 않는 기업 행위는 과거 잘못된 행위들이 한국 대기업들 간에 아주 일상적이어서 투자가들도 신경을 쓰지 않는다는 표식으로 받아들여졌다. 그러나 김 위원장이 임무를 떠맡으며 이는 오히려 더 좋은 일의 표식이 될 수도 있다. 즉 재벌이 단순한 가정사 이상의 것이 되고 있다는 것이다.